The drill is designed to reinforce shelter-in-place procedures, including “Drop, Cover and Hold On” and preparation measures such as securing one’s space to prevent injuries and property damage. The one-minute drill will be broadcast over the University’s IP phone system so it will be heard in offices and classrooms. The brief instructional message will come with simulated earthquake rumbling background noise. Following the drill, everyone is encouraged to visit the Department of Public Safety’s webpage for more information on the University’s procedures for earthquake response and other crisis and disaster response procedures. 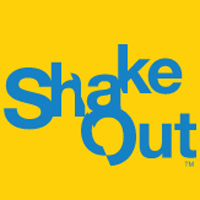 For more information on the Great ShakeOut and helpful tips, go to: https://www.usgs.gov/news/get-ready-shakeout-october-20.